There has been a rise in the appearance of ‘See a Need, Fill a Need’ websites in Trinidad & Tobago, as people are spotting opportunities. In January 2015 the site was still advertising and finally managed to go live but all I saw was a few test jobs. Obviously the owner was hoping the ads would bring in business. By the end of January there were no new jobs posted and all vacancies listed 5 test jobs. Obviously, the site owner got too much ahead of himself and allowed the excitement of his great idea get in the way of proper planning. And this my friends, is the one of the curses that plagues the launch of a specialty website. Obviously, the site owner got too much ahead of himself and allowed the excitement of his great idea get in the way of proper planning. There’s no doubt that many opportunities exist for specialty websites in Trinidad & Tobago, but like any business venture, proper planning and execution is essential for its success. I always maintain that it’s not who’s there first or how big they are, it’s who can DO IT BETTER. So never think that there is no room in the market, even in as small a market as Trinidad & Tobago. Trini’s can resist going in cocky and half-assed with all eyes on all the money they can make, hence the reason why so many fail. 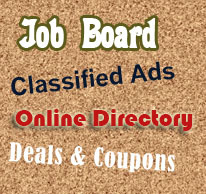 Classified Ads, Job Boards, Business Directories, Deals, are the popular ones that come to mind, but there are many others. Most people get their idea when on similar US sites and realize that there isn’t one like it in T&T. Or they see one already in T&T and think they can do better or at least get piece of the action. More often than not, WordPress is not the go-to choice for such websites, even though many templates may exist. Sometimes I try to stick with WordPress because of ease of use, template support because I trust the marketplace I use, but many times there are more robust platforms worth looking at, and are perhaps better choices. Whether it will deliver on its promises by actually working without issues and bugs. The credentials of its developers to back up and support their product, provide updates, add new features etc. Individuals, companies, entrepreneurs, and those Trinis who just want to ‘try a ting’ are smelling many opportunities to capitalize on the website wave that’s lifting across Trinidad & Tobago. In the end there’ll only be a few with one or two dominating. If you ready then we should talk. I’ll first have to talk some sense into you because chances are you won’t be prepared for the enormous amount of work it would require. I’m not only talking about the site itself, believe it or not that’s the easy part. The hard part is the promotion and avoiding the real scenario that just played out with the jobs site I talked about in my opening paragraphs. Don’t ever be that guy.